Snake Legends is a simple classic snake arcade game presented by Play365, available to download from the App Store and Google Play. Choose among 3 different controller types to control your snake and get it bigger and bigger. Unlock new characters to play with, interact with different power-ups, and compete with your friends! 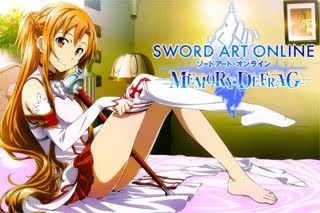 - While online, you can redeem various in-game cash, characters, and more by viewing video ads. This is optional though, but it is the fastest way to get more Cash and free new characters in-game. - Untriggered Ads can be canceled by selecting the default "Back" or "Exit" option from your device. - If you don't like to play with ads popping around all the time, you can play the offline mode by switching off your WiFi. - Just by logging in everyday, you will be able to collect more freebies. - Gather all the money you can, including the big, crazy, jumping 50 dollar Bill and use it to spin your luck and get new random characters. - The moving cash is one tricky object, better ignore it if you are shooting for high scores. - The Snake Leader (front): Lose the leader and you lose the game. - If you fall down the edge, you lose the game, move to avoid falling. - Bumping into non-movable objects or even into your own snake line. - The Snake Leader blown out by a Bomb. - Getting a Lightning Bolt while your Snake Leader is alone. 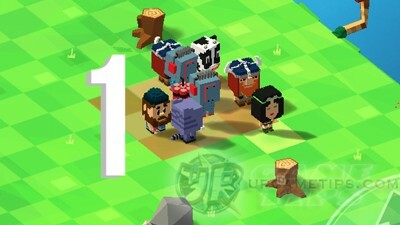 - Your goal is to grab as many characters as you can, each character increases your score by 1. - Note that the more dudes you gather, the faster your speed will become, even if you only have few of them running. So to counter this effect, you need to decrease your Speed. - Get Snowflakes to slow down your snake. - Your Snake line's speed increases from White > Yellow > Orange > Red (color of path under your characters). Once it reaches Orange or Red, it's better to avoid getting more dudes to not let your speed increase even more, wait it out until you are able to get a Snowflake. - Snowflakes appears after a set amount of time, after reaching a certain speed or score range, so if you need to wait for it, I suggest that you just circle around the map along the sides or edges until one appears, this will also reduce the number turns to make while waiting. - While waiting, you can also lose some of your dudes to decrease difficulty of navigating around the map. - Note: The lowest speed is White, so getting a Snowflake at low speed will be useless, so instead, quickly get some dudes to increase speed to Yellow at least, then grab that Snowflake before it disappears. 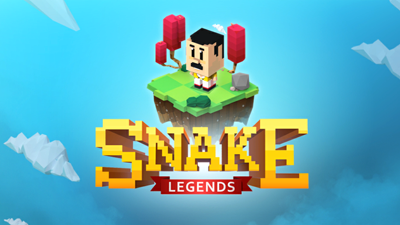 - In Snake Legends, you can use the different power ups to shorten your snake and have an easier game. Each Dudes lost will net you some Cash. - Use the Lightning Bolt to electrocute the last character on your snake. - Do not get one if your Snake Leader is alone though. - Use to take out several characters at the same time, be careful though, DON’T KILL THE LEADER or it is game over! - To be safe, move away from the bomb's area once it starts to rapidly shake (about 1 to 2 seconds before it explodes). You can also easily distinguish this by listening on it's detonating sound by playing on the 3rd unlockable blue icy map. - To maximize the effect, it is sometimes best to run through all the tiles inside the bomb's area, risky and tricky to do, but it will greatly decrease the length of your snake line. That's it for now guys, hopefully they will add in more features for this game. If you have discovered an awesome tip, trick, or strategy, feel free to share them here too by using the comment section below this guide, thanks for helping other players! Same if you need help or have questions about the game.